It's time for another installment of Foyt Friday, where we track down videos and movies featuring Super Tex himself, Mr. A.J. Foyt. Have a very Happy Easter, and see you back here after the weekend. -If you’ve missed out on the fun, this year some of the IndyCar bloggerati have joined together once again as part of Last Driver Standing, which is where we each pick a driver for each race we believe will finish in the Top 10. Each driver may only be selected once by each blogger over the season. If their selected driver finishes out of the Top 10, the blogger in question is eliminated. Week 1 was especially bloody, with no less than 6 of 16 bloggers meeting their demise (thanks, Will Power! ), including your kindly host. -Week 1 of IndyCar Advocate Fantasy Racing is in the books, with 1 team posting a perfect score, and many other scratching their heads and wondering what happened. If you haven’t signed up for a team yet, feel free to join us. It isn’t anything fancy, but it’s fun, and there’s still time to catch up in the points, much like James Hinchcliffe did after missing the season opener in 2011, but coming back to win Sunoco Rookie of the Year. -Finally, it is Wednesday, and that means, Twitter users, it’s time to use the #Follow4Indy hashtag. IndyCar UK came up with the tremendous idea of using this hashtag to cultivate increased follows for quality IndyCar Twitter users, from bloggers to super-fans. So if you have a moment today, pop onto Twitter and tweet out your own #Follow4Indy suggestions, and check out the suggestions others have made! -Before I forget, if you’re anywhere close to the Indianapolis area this upcoming Saturday, Indianapolis Motor Speedway is having an Easter Egg Hunt in Turn 3, with registration starting at 10 am Saturday. It’s free and open to the public, and you can bet I’ll be taking my rugrats out for some of the fun. Free candy AND a visit to the Greatest Race Course In The World is never a bad thing. RSVP here to sign up. -I received an interesting text after the race, from a phone number I did not know. It read simply “Hiiiiiiiiiiiiiiiiiiiiinch! YES YES YES WOO YEAH”. I texted back to see who the number belonged to, and have had no response since (it’s a 765 area code). Mystery Hinchcliffe Fanatic, you are in good company. -One more item, and I’ll let you go. My latest article, “A Season Opener For The Ages”, is up at INDYCAR Nation. Be sure to give it a read, and maybe they’ll decide to keep me around for a bit longer. Sometimes, the night before a race, before you drift off to sleep, all the potential scenarios for how the next day will play out run through your head. Of course, there's always the fantasy scenario, where your favorite driver or someone you really want to see win finally has the breakthrough needed. Sunday's Honda Grand Prix of St. Petersburg wasn't a perfect race, but it was a tremendous opener for IndyCar. One of the most popular drivers got a huge first victory, the GoDaddy sponsors have to be thrilled, and between restarts, tires falling off, and pure, excellent racing, fans saw an immensely exciting race. The tension for the last 20 laps was especially intense, from Hinch battling Helio, to Simona trying to hold off a brace of challengers, to the battle just behind to squeeze into the Top 10. -James Hinchcliffe has just continued to improve every year as a driver, and his racing resume is starting to really match his charisma and potential star power. I don't know of many IndyCar fans who were put out by him winning yesterday--the guy is almost universally liked, and he simply had a great race, especially on the restarts. It wouldn't hurt my feelings at all if he was in contention like this throughout the season. IndyCar should never put all its eggs in one baskets when it comes to their stars (nor do they need to), but you have to feel really good about how guys like Hinch can connect to both fans old and new tuning into the broadcast. I'm also very happy for IndyCar's Canadian fans, many of who were so accommodating and kind during my visits up there. It's great to see the Maple Leaf back in Victory Circle--a place I hope it inhabits with some regularity for many races to come. -Andretti Autosport served notice (just in case you thought otherwise) that 2012 was not a fluke season. Not only did they end up with Hinch celebrating the win, but Marco Andretti made a furious charge into a podium position. I was impressed by what I saw of his demeanor and patience this weekend. Ryan Hunter-Reay won't lose too much to Power by finishing in P18 with mechanical issues, and looked good before that. EJ Viso seemed destined for a brutal weekend, and simply refused to quit, fighting back for a remarkable P7 finish. It was just a great weekend for the team all-around. An image IndyCar fans had been waiting for. -There also needs to be a big round of applause for the NBC Sports Network crew and the job they did. I thought Townsend Bell was excellent, and the play between he and Leigh Diffey was very good. The best thing the broadcast booth was to simply go with the ebb and flow of the race, to concentrate where there was action, and to focus on themes of the race as they developed. Just a great job by all concerned all weekend. It wasn't perfect, and there were still a few things missed, but by and large, I like the direction they're headed. -Simona de Silvestro's driving was absolutely on point, perhaps no more than when she was trying to fight off Marco Andretti, Tony Kanaan, and Scott Dixon in the last few laps on what were essentially shredded playground surface masquerading as racing tires. Actually, both KV drivers had a great weekend overall, and both Kanaan and Simona fans should feel pretty good about this week. It's a bummer the Iron Maiden couldn't grab that podium, but running competitively with Penske and Andretti all day and finishing P6 is infinitely preferable to running P26. -We may only have one full-time rookie in IndyCar this year, but if we have to one, Tristan Vautier is a pretty good one to have. Before falling prey to the mechanical gremlins that seemed to plague half the teams Sunday, Vautier looked to be in contention for a podium, and looked absolutely nothing like a rookie out there. He'll have his rough moments, but I like how he's carrying himself thus far. It was one of those great drives that ultimately won't reflect as such in the results. -Of course, plenty of drivers, from Simon Pagenaud to Josef Newgarden to Graham Rahal, didn't have the weekends they wanted, but Dario Franchitti made a rare mental error to finish dead last in this one. It was not a happy weekend at the Ganassi team, between Chip Ganassi calling out Honda for engine performance and poor qualifying. Scott Dixon made things a little better by somehow showing up and finishing P5 at the line, but when a P5 finish is the best thing a Ganassi team has to crow about on the weekend, you know there's trouble. Also: Scott Dixon is an incredible driver, and we don't given him enough credit. -There were a frankly stunning amount of electrical and mechanical issues Sunday, and it definitely affected the results of the race somewhat. Although Oriol Servia was off-strategy when he had to come in and pit, I'd have liked to have seen what he could have done had he not suffered the mechanical failure in the pits. It was all a bit puzzling, and one has to hope there's a bit less of that at Barber. -If there was a rough spot of the race, it had to be the yellows, though the broadcast team did an excellent job in filling in the lengthy slow spots as best they could. I'm not precisely sure what can be done about the length of the cautions, but it's something that needs to be looked at. -It was a full Mazda Road to Indy Schedule, with USF2000 running two races, and Scott Hargrove consequently running away from everyone else to win both. His teammate Neil Alberico should be right there with him on points, but had no shortage of bad luck. In Pro Mazda, Matthew Brabham won both races, but Andretti's Shelby Blackstock grabbed the pole and finished with two podiums, serving notice he could do some big things this year, too. Both series are now off until "The Night Before The 500" in May. Firestone Indy Lights saw a bit of contact between Carlos Munoz and Gabby Chaves, and that allowed rookie Jack Hawksworth to win his first race in Lights, with Peter Demspey P2 and Sage Karam rounding out the podium. It remains to be seen if Dempsey is going to have anything for the Schmidt cars this year, but one would think this title battle will remain close for awhile. It's on to Barber for Lights in two weeks. I feel like we've waited so long for this IndyCar season to start, I'm not sure quite where to begin. We've had to wait for seemingly every other form of racing and racing-esque entertainment to start, and now it's finally our turn. It's going to be another amazing season, with storylines galore, a full paddock of excellent drivers, and the sort of great racing we saw throughout last season. The IZOD IndyCar Series has returned, and just in time. I'm not sure I could have waited any longer. I'll just say this: Drop. The. Flag. Already. A Defending Champ: Ryan Hunter-Reay begins his title defense sporting the #1, and with sky-high expectation for both he and his Andretti Autosport teammates. The first American champ since 2006 seems to be in a very good spot in his career and mental focus right now, and St. Pete will be his first chance to make a statement in the new season. Remember, he grabbed a podium here last year, and could very well do the same on Sunday. Hinch’s Next Step? : James Hinchcliffe has the most star potential of just about any IndyCar driver, but what’s even more exciting has been his steady progression as a top-notch IndyCar driver. Many season previews expect Hinch to bust into the win column this season, and St. Pete (where he finished P4 last year) could be a fine early indicator of how his season will go. A Hinch win would make everyone happy—fans, Series personnel, and sponsors alike. Helio Repeat? : Helio won an emoitionally-charged opener last year, emphatically emphasizing the Dan Wheldon Way street sign as he did his usual “Spiderman” climb. Helio hasn’t given up pursuit of a Series championship to complement those 3 Indy 500 victories, and he’ll be a driver to watch this weekend. Changing The Rules: Besides no activation delay on Push-to-pass, there are a couple of other notable rules changes you’ll want to be aware of, most notably a rule that stops competitors from reaching the next round of qualifying if they are found to have “interfered” with another qualification attempt on the road and street course knockout qualifying. Also, pit selection (outside of Indy) will now be linked to qualifying results on the most recent event, instead of the last same type of track (street or oval). Additionally, points have changed slightly this year. Instead of places 19-24 receiving a flat 12 points, places 19-25 will have a 1-point differential, which could encourage a bit more backmarker and off-the-pace competition at the very back of the pack. Every point counts, after all, as your championship contenders of years past would eagerly tell you. A Rookie Debut: Tristan Vautier looks to be the only full-time rookie in IndyCar this year, and he seems to be coming into an enviable position with Schmidt Peterson Motorsports and teammate Simon Pagenaud. Vautier has impressed in offseason testing, and the two French drivers could be a formidable 1-2 punch for an IndyCar team looking to take that next step. Welcome Back, Bia: Ana Beatriz is back to start the season, and she’ll be the first contestant this year in the 2nd Coyne car at St. Pete. We know we’ll see her for at least three rounds this year, but it would be nice to see her grab a quality finish this weekend. Believe it or not, Bia is still looking for her first IndyCar Top 10 finish, which can largely be attributed to a year in 2011 with some brutal engineering, and limited in-seat time besides that. If she’s able to pull it off in the Coyne B car, that would be quite the accomplishment indeed. Simona’s Got The Power: IndyCar’s very own hard-luck lady suffered through a year of Lotus Purgatory, but now she’s got Chevy power at KV Racing. She finished P4 at St. Pete in 2011, a finish that remains her best yet in the Series. A great day Sunday would erase some of the sting of last year, and would be welcome by fans who know if anyone deserves a good car and a good outing, it’s the Iron Maiden. Honda Holding Back? : Honda says it wasn’t showing all its cards in preseason testing. Coming off a year in which they won the 500 but lost the Manufacturers’ Championship to Chevrolet, 2013 is a year where we see if we Honda has been so reliable for so long for IndyCar, it’s sort of odd coming to a place where they’re getting beaten in actual competition. Of course, it wasn’t as if they weren’t in contention at all last season, but losing 11 out of 15 weekends to Chevy had to smart. Time to see how Honda reloaded. Father and Son: Graham Rahal won in St. Pete when he was only 18 years old, but that sometimes seems like half a lifetime ago. He's reunited this season with his dad at Rahal Letterman Langian Racing, and the hope is that it's a happier situation than the last two years the younger Rahal spent at Ganassi. The Rahal team should have the speed this season, and all eyes are on Graham to win once more. Livery Watch: It’s a new season, so there are changes to the livery all over. The Team Barracuda car is running a two-tone blue number, which is very nice, and James Jakes’ Acorn Stairlifts sponsorships has a silver and sort-of-burgundy thing going on that stands out nicely. Tony Kanaan’s Hydroxycut-sponsored #11 has an armored-plated look that’s way different than last year’s GEICO/Mouser schemes. We all know Helio’s sponsor will vary this year—he’ll start with Hitachi on the sidepods. 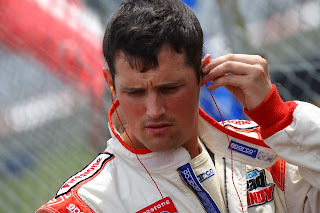 On the numbers side, Justin Wilson will actually be in the #19, with Bia in the #18 car for Dale Coyne Racing. Mazda Road to Indy Update: The entire Mazda Road to Indy ladder is in on the fun this weekend, as USF2000, Pro Mazda, and Firestone Indy Lights will all be racing at St. Pete. USF2000 has already started their season, with the Cape Motorsports cars looking as powerful as ever. In Pro Mazda, Deigo Ferreira comes in with 4-point lead over Matthew Brabham after the Circuit of the Americas opener, with Shelby Blackstock, Scott Anderson, and Petri Suvanto tied for P3. In Lights, it’s anyone’s game, as a small field of nine features drivers such as Peter Dempsey, Carlos Munoz, Jack Hawksworth, and Sage Karam—each with a chance to win in the FIL opener. Last Driver Standing! : Don't forget, some of my fellow IndyCar drivers have joined me once again for another season of Last Driver Standing. Each IndyCar race week, we each pick a driver we believe will finish in the Top 10, with the catch we can only use each driver once. If our chosen driver doesn't make it in the Top 10 that week, we're out of the running. Last blogger going wins all manner of non-monetary glory (an inferior form of glory, but still)! Last year's winner, Eric Hall from anotherindycarblog, has already been experiencing some trash talk, so we'll see if he can defend his title. You can follow along this season here. Dark Horse Pick: Let’s go with Graham Rahal, bouncing back from a rough test at Barber. Fantasy Racing Reminder: If you’re reading this before 10am ET Friday, there’s still time to jump into the IndyCar Advocate IndyCar Fantasy League. If you’re reading after this, don’t sweat it—you can still join in Week 2. It’ll make your eventual championship and thrashing of everyone else that much more storybook. Also, for all your race info needs, make sure to stop by my buddies at MoreFrontWing this season, who have your summaries and needed information for each and every race, all season long! Have a great race weekend, and we'll catch up on Monday, with all the water cooler talk and such. If you missed it, make sure to join the IndyCar Advocate Fantasy League! It isn't pretty, but it's free! Nine cars. That’s what constitutes the Firestone Lights entry list for the Streets of St. Petersburg this Saturday afternoon (televised NBC Sports Network 11am ET, Sunday). That’s not what we Mazda Road to Indy aficionados want to see, and there’s no getting away from it being frustrating for the Lights fans out there. So, why should you tune in to watch these not-quite-ten compete on NBC Sports Network this season? Well, it’s an interesting field, not only because there are a number of good prospects, but because we have very few drivers with extensive Lights experience to judge. Between the nine drivers starting at St. Pete, there are only 79 total starts in Lights, and five out of the nine drivers have no FIL experience at all. While Sam Schmidt’s cars will again be formidable, at least six drivers in this field can be considered candidates for the Lights title and resultant scholarship towards the IZOD IndyCar Series. Frankly, no one is quite sure who’s going to come out on top, and that alone should make for an interesting year. If you haven’t paid attention to Firestone Indy Lights in the past, but want to, there’s a couple of things to remember. The first is they have a full schedule appearing on NBC Sports Network. If that’s not an option, they are also on the IMS Radio Network and IndyCar’s Timing and Scoring. If you’re following along on Twitter, check out and use the hashtag #MazdaRoadtoIndy. #FIL is also used, but sometimes gets some cross-talk with some other interests. There are 12 races scheduled, with 5 ovals and 7 road/street courses making up the 2013 campaign. Like Indy, the Lights season will end in Fontana. Last season, the race came down to the finale, where Tristan Vautier held off preseason favorite Esteban Guerrieri by a mere 8 points to secure the title. Yes, this field isn’t big enough to be the healthy ladder rung we want, but remember Josef Newgarden and Vautier are the last two Firestone Indy Lights champs, and they seem to be settling in pretty well so far in the big cars. Your 2013 champ will likely be an addition to the 2014 IndyCar field, and so in that sense, you’re essentially watch a massive contest for a partial IndyCar scholarship, one that could make the difference between a seat in IndyCar, or not being able to make the jump. Here’s a quick snapshot of the Firestone Indy Lights teams as they are, with a preview of each driver. Zach Veach has been with Andretti since his USF2000 days, and he’s quickly moved up the ladder to partake in his rookie season of Lights. Veach had an up-and-down year in Star Mazda, but also has a knack for marketing and sponsorship, which has made him among the more well-known ladder series drivers. Veach will probably have some rookie moments this year, but I’d expect some good moments, as well. That’s what development series are for. Carlos Munoz wasn’t on many radars prior to the 2012 FIL season, but he definitely seemed to find a nice groove as the Lights season wore on. Wins at Fontana and Edmonton were complemented by podiums at Indy, Detroits, and Toronto. He turns to the Andrett team for the 2013 campaign, and will also attempt to qualify as a fifth Andretti Autosport car at the Indianapolis 500. He’ll have his hands full with the Schmidt cars, but if he drives as he did for much of last year, he could bring a Lights title back to AA. Dempsey should finally have a full Lights season. This will be Peter Dempsey’s first full season in Lights, though he’s raced here with some success since 2011. The Irish racer has loads of talent, and should benefit from being in a regular seat. Belardi Auto Racing has taken some nice strides, and Dempsey should be an asset for them as a driver. It’s too early to tell just how Belardi will stack up against Andretti and Schmidt this year, but he did admirable work for Brian Belardi’s crew over the last half of the season, finishing P5 or better in three out of five races. His teammate, Lights veteran Jorge Goncalvez, had four podiums with Belardi in 2011, but none in 2012. He also went from P5 in points to P10, which was indicative of just how disappointing last season had to be for the Venezuelan. As the most experienced Lights drivers in the field (28 FIL starts), the 21 year-old should have every opportunity to have a bounce-back campaign. 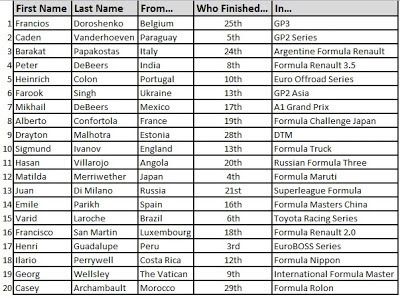 Goncalvez could very well be the toughest Lights driver to predict in terms of how he’ll fare this year. Schmidt Peterson Motorsports has the distinction of having Star (Pro) Mazda’s top 3 drivers of 2012 on their team for the 2013 Firestone Indy Lights season. Gabby Chaves finished last year’s Star (Pro) Mazda campaign with wins in the last two races, finishing runner-up. His oval development is limited, but he’ll definitely have plenty of practice this year. The Colombian-American driver is a product of both Skip Barber and the European feeders, and showed some nice consistency throughout last year’s schedule. He’s the sort of driver that quietly moves up, and all of the sudden you see in title contention. Karam's new gig was a late addition to the Lights roster. 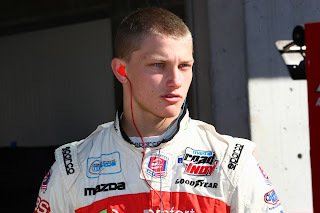 After an offseason of uncertainty, Sage Karam has also made the jump to Indy Lights. Star (Pro) Mazda’s P3 in points last season, Karam has long been an Andretti prospect, but the move to Schmidt’s crew certainly won’t damage his chances any. Karam should be a lot of fun to watch as he develops, especially on the oval circuits this season. He could very easily grab a win or two this year, as he is likely one of the best oval drivers in the field. Jack Hawksworth was an absolutely impressive Star (Pro) Mazda champion last season, with a record-shattering 10 poles and 8 wins on the year. Moving up as a Mazda Road to Indy scholarship recipient, many expect J-Hawk to perform just as well this season. While that’s probably too much to ask of him at this point, especially on the ovals, he should be a blast to watch develop in the next couple years. One of his biggest assets is his consistency, which will serve him immensely well in a series where that’s the downfall of many a prospect. Juan Pablo Garcia essentially stayed out of everyone’s way in 2012, generally well off the pace, but not a danger to others. Garcia is second only to Goncalvez in this field in the number of Lights starts (21), so we’ll see if he can bring home some quicker results this year. He generally took care of his equipment, and that’s always a plus, especially in a ladder series. 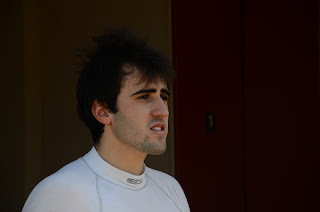 Ethan Ringel is a Lights rookie, having spent 2012 in the GP3 series, where he was the youngest driver on the season. At 18 years old, most of his post-karting race experience is in Formula Enterprise. He’ll definitely be expected to be on a big learning curve in Lights this year, so we’ll have to take a wait-and-see approach as to just where he is in his development as a driver. He has worked with IndyCar driver Jay Howard as a driver coach. So, with INDYCAR Nation not running fantasy racing this year as they look to retool the experience for 2014, I know there are many of us that definitely feel a need to get some IndyCar fantasy racing in. I'm no web developer, but I created a (very) simple Google Forms interface for folks who want to be a part of an IndyCar Fantasy Racing league this season. 2) Click on the link to the Google Form. 3) Fill out your picks for the week's race, and submit. If your driver wins, you get 6 points; a podium is worth 3, and a Top 10 is worth 1. It's that simple! This is about as no-frills as it gets, but at least you'll be able to participate in some form of IndyCar Fantasy racing, and check on the standings here at IndyCar Advocate each week. Head here to get started, and let's see how it goes! If we get enough interest, we'll see about some cool prizes for the winner. Click Here To Get Started With IndyCar Fantasy Racing! The 2013 IZOD IndyCar season arrives this week, and IndyCar experts are having their day in the sun, predicting "Will Power This" and "Ryan Hunter-Reay That". Oh, they’ve got their predictions all figured out, from this year’s Indy 500 winner to which engine manufacturer will come out on top. They like to use things like statistics, facts, and trends—if you can believe it. Once again this year, IndyCar Advocate is the ONLY place you need to turn to get the most accurate predictions for the upcoming season. Only here will you find the big secrets and sure-fire winners that THE MAN doesn’t want you to know about. It’s ok, they can’t silence the truth. 1) Robin Miller will set a new personal best on the NBC Sports Network by not only interrupting the invocation to prayer, but also the Pledge of Allegiance, the National Anthem, a moment of silence for the historical sacrifices of the Tuskegee Airmen, and a blessing by the new Pope. 2) A new IndyCar fan focus group will definitively determine what next the iteration of IndyCar should be: “a rear-engined, front-engined, GRE/V6/V8 stock, non-stressed, stressed, canopy-optional, common safety cell, roadster turbine with a blown diffuser and ground effects, but sort of like the Delta Wing”. The resulting artist’s sketch will look like the deformed love child of a tryst between a Tyrrell P34, Brawner Hawk, and a 1947 Kurtis Kraft Midget, and will drive several unsuspecting engineers mad simply from gazing at it. 3) Tony Kanaan’s car will faces fines for being underweight at all races in which the Hydroxycut sponsorship is on the sidepods. 4) The Sao Paulo, Brazil race will be marred by an incident in which the airline manages to misplace the entire Panther Racing team. They are delivered by accident to Montevideo, Uruguay, from where most of them make their way home by the season's end. 5) Donald Davidson will take approximately 445 calls from individuals claiming their great-uncle’s next-door neighbor was a driver in the 1938 Indianapolis 500. The surprising part? One actually was. 6) The Indianapolis 500 will be won by Takuma Sato, who has the Foyt team install tire spikes that he refers to after the race as "Scotsman Deterrents". 7) In response to an incident the night before the Indy 500 in the IMS Coke Lot, IndyCar and NASCAR will finally team up to create a game-changing safety measure. In that moment, the flame-retardant port-o-crapper is born. A week later, Darrell Waltrip will take a moment during a broadcast to crow about how NASCAR single-handedly led the way in outhouse safety technology. 8) The Team Barracuda car’s new livery will allow it to effectively “camouflage” its way to victory next to the blue-painted walls of the Milwaukee Mile, after Dario Franchitti slows down on the last lap, thinking no other cars are even close to his. The Team Barracuda car will then take the nickname of “Predator” for the remainder of the season. 9) In June, Justin Wilson will repeat his 2012 victory at Texas Motor Speedway. In the wake of this triumph, Dale Coyne will state he’s very close to officially announcing his drivers for the 2013 season. 10) Also in June, AJ Foyt will be struck by lightning, stumble upon a nest of rabid wolverines, and have an expired Russian satellite fall on his head. In other words, for AJ Foyt, what he likes to call a “quiet Thursday”. 11) IMS and INDYCAR hold a high-profile, joint press conference about the steps they’re taking to address the media leaks ahead of big announcements. Unfortunately, the main points to be addressed are inadvertently revealed to the public two days ahead of time. 12) James Hinchcliffe will win at Pocono, and will immediately demand a Triangle Driver’s Championship to complement the Oval and Road/Street titles. 13) The Turbo movie debuts, sparking a golden age for bloggers and sportswriters alike in making immensely witty snail comparisons to anyone even a smidge off the pace (actually, this one isn’t tongue-in-cheek. It’s going to happen—you know it, and I know it). 14) In July, I will also finally crack a joke I’ve been saving for MONTHS about the titular character in Turbo being sponsored by Shell. No one will laugh, and I will then go to my Angry Place for about a week. 15) A mortified Beaux Barfield will realize he's been calling James Jakes "Jake James" for well over a year. Out of guilt, he ignores any pit violations Jakes might commit for the remainder of the year. "Get it, Helio? He's a snail, sponsored by--ah, forget it". 16) After a particularly carnage-filled Streets of Toronto event, the Indy Lights field actually drops to -3 entries for Mid-Ohio. A game of Rock/Paper/Scissors will instead determine the weekend’s winner. A Sam Schmidt entry will win, after winning a Best-of-5 series with the combo of Rock, Rock, Paper, Rock, Grenade. 17) Scientists will discover that time does indeed seem to move relatively slower for those traveling near the speed of light, or waiting for the end of a largely IndyCar-free September. 18) About a week after the Houston race, Katherine Legge will win a lawsuit against Dragon Racing, as a California judge tells IndyCar the only fair course of action is a season “do-over”. 19) On the eve of the season finale, Justin Wilson will find out that due to a loophole in his contract, he has been paid entirely in Sonny’s Bar-B-Q coupons for the season. He will describe his attitude as “enraged, yet satisfying full”. 20) Will Power will enter the finale at Fontana knowing he only needs to place P25 or better in a field of 26 cars to beat out Scott Dixon for the IZOD IndyCar Series title. Thinking quickly, Chip Ganassi will announce one-off Fontana deals for Marty Roth, Milka Duno, Joel Camathias, Francesco Dracone, Judge Harry Sauce, Juan Caceres, a 78 year-old IMS Yellow Shirt, and Bronco Brad Murphey, assuming someone in that group will take Power out almost immediately. How will it play out? I guess you’ll have to watch. What am I, psychic? 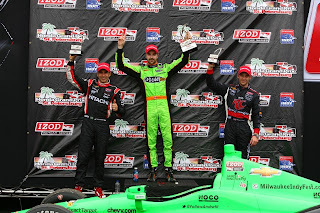 Welcome to the second half of our 2013 IZOD IndyCar Series season preview. Part One, covering the Chevy teams, may be found here. Today, we look at the Honda teams rounding out the paddock this year. Honda won the Indy 500, but otherwise could not match Chevy in the wins department, coming in second in the Manufacturer's Championship. They'll look to change that, with a mix of both experienced veterans and some prospects that could have big years as well. On the surface, the pairing of Sato and Foyt might seem an odd one, but early returns have been almost universally positive. We all know the story on Taku by now: fast as anyone, crashes late. Still, he should have some very good finishes this year, and don't ignore his potential for winning if he can simply keep it off the wall. Sato can win, make no mistake. I would also think Foyt's engineering upgrades start to pay some bigger dividends this year. I like what Don Halliday can do for that team. Expect to see the #41 car (at least) rolled out Indy, though with Conor Daly racing in GP2, that probably signifies it won't be him in that seat come May. Seriously, Team Barracuda just looks fast. There's an awful lot to like about how Bryan Herta's crew is going about their business these days. They aren't a big team, but are taking a lot of pains to do things the right way. The return of Alex Tagliani is a good move, and this team should be super-fast on several stops along the road this year, including Indy. After switching from Lotus last year in time for Indy, Tag posted Top 10 finishes in eight of the next nine races. This is a team on the rise, and that should play itself out in the results this year. Scott Dixon was again in the title hunt for most of the season last year, and was the highest-placing Honda driver overall. Dixon is still in the peak of his career, and can be counted on to be a regular presence in the championship consideration. He is also one of three active IndyCar drivers with an Indy 500 win to his name, and with an average 500 finish of 3.8 in the past five years, he could add another likeness of his to the Borg-Warner Trophy. He likely represents Ganassi’s best shot at regaining the IndyCar title. 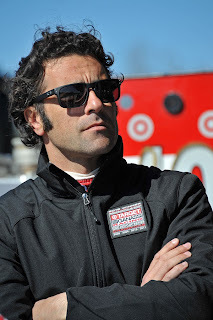 Dario Franchitti had an “off” season by his standards in 2012, but that still meant winning Indianapolis and three other podium finishes on the season. Of course, Franchitti has been on top so long, any poor result will add ammo to claims he is “slipping”, but he is still a threat to win on just about any given weekend. He’s in the sunset of his career, but that sunset should still shine pretty brightly. There's no reason to believe he can't grab a record-tying fourth Indy 500 victory this year. Dario: A 4th 500 win this year? Charlie Kimball begins his third season in the IICS having made some nice strides in 2012, including his podium finish at Toronto and a very nice result at Indianapolis. Kimball isn’t a world-beater just yet, but he’s been working at his craft, getting more comfortable in the car, and the results are slowly coming. Look for another decent year from Charlie—not a championship season, but a competitive one nonetheless. Justin Wilson should return for another full season at DCR. The team of Coyne, Wilson, and engineer Bill Pappas paid off big dividends last year, as Wilson won a stunner at Texas. Results will probably be up-and-down at Coyne overall, but they should sneak up front at least a few times this year. If you want a real dark horse possibility, don't forget about last year's P7 at Indy! No one is quite sure what the final breakdown of races will be for the second Coyne machine, but Ana Beatriz and rookie Stefan Wilson both look to play some manner of role in that ride over the course of the season. Bia will start the season for Coyne, and we'll have to see when/where Stefan Wilson steps in (right now, it sounds like a few North American road or street circuits, but we'll see). Interestingly, at the time this was was written there official announcement has been forthcoming for either of the Coyne cars, despite Justin and Bia being listed as entrants for St. Pete. That might be concerning in an another racing series, but here we just call that Coyne's standard M.O. After what seemed to be a somewhat unhappy situation for Graham Rahal at Chip Ganassi’s outfit, he moves back to his father’s team for the new season. RLLR was fast enough to win last year, though they came up infuriatingly short (Indy, anyone?). Rahal sounds pretty relaxed and confident going into the year, and working with this team could be the bump he needs to get back to the win column. The Rahal crew will hope that early testing gremlins are just that, and that St. Pete is the start of some big statements this year. Teaming with Rahal the Younger will be the Englishman James Jakes, who will look for better results after a lackluster, frustrating 2012 season. It seems as if Rahal and Jakes are getting on well, so we’ll see just how Jakes fits with his new team. It will be interesting to see if he can duplicate his P8 from Toronto or some of the late-season 2011 promise, or if he will finish around P22 for a third straight year. Mike Conway might be done with oval racing, but we’ll at least see him in a third Rahal car at Long Beach, where he has previously won. It’s very possible we see Conway in a couple more race weekends this year, and the #17 car should also make an appearance, sans Conway, at Indy. Simon Pagenaud has a teammate for the season in 2012 Firestone Indy Lights champ (and fellow countryman) Tristan Vautier. Vautier was ridiculously fast in early testing, and though he'll have his rookie moments, the early expectations are favorable, to say the least. Vautier made it here by winning Star (Pro) Mazda and Lights against competition that was expected to beat him out; one certainly wouldn't expect him to back down now. This may be a familiar sight to some drivers this year. As far as Pags goes, you won't many better-regarded drivers for the season to come. The 2012 Sunoco Rookie of the Year is perhaps the most intriguing driver outside of the Big 3 teams, and you can expect to see him with a least some podium action over the course of the season. I don't want to jinx it, but we just might see some crepes in Victory Circle at some point this year. Sarah Fisher's crew moves into their impressive new building in Speedway this April, and also boast a new Indy 500 sponsor in Century 21. They also have one of the most charismatic young drivers around in Josef Newgarden. Unfortunately, Newgarden, while possessing all the raw potential in the world, couldn't nail down a Top 10 last season, as a mix of impatience and rookie luck/judgement came into play. It will be a more experienced Newgarden behind the wheel this season, and he should continue to develop nicely over the course of the campaign. We did it--we survived another offseason. The IZOD IndyCar Series is ready to get things rolling once again. The Honda Grand Prix of St. Petersburg will open the season this weekend, and the IndyCar paddock is again packed with some great talent and some intriguing team-ups this year. Over the next two days, as part of a week of full coverage leading up to the INDYCAR kickoff, we’ll be looking at each team and driver in the Series. Get ready, because we have an amazing season in front of us. Today, we’ll start with the Chevrolet teams. Chevy cars won 11 out of 15 weekends last season on their way to the Manufacturers’ Championship, and will be looking to repeat the feat this season. The core of their driver pool remains largely the same, as Simona de Silvestro is the only full-time driver to switch from another manufacturer to Chevy this season from last season. The Andretti team enters this season looking for all the world like they should be able to make a solid defense of last year’s championship, especially with their their current driver and engineer lineup. Ryan Hunter-Reay demonstrated he could win on both twisties and ovals, and really seemed to take his performance to a new level as the first American IndyCar champ since Sam Hornish. If he gets on a string of victories again this year, there's no reason he can't repeat. Big things are also expected from his teammate James Hinchcliffe, whom many have projected as taking his first Series trip to Victory Lane this season. Hinch has the personality and talent to continue to grow as one of IndyCar’s true stars and personalities. A high-profile win would be a big step in that direction. Seeing him reunited with engineer Craig Hampson should be a major plus. 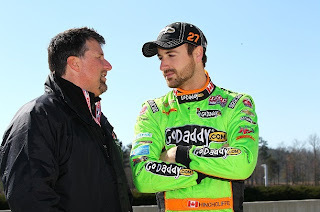 Hinch: Even better for Andretti in 2013? Marco Andretti’s move to the #25 car will hopefully be the sign of a new beginning for the legacy racer. It’s been the regular story in recent seasons: we know Marco can win (and he has), but a mix of the Andretti luck and other misfortune has kept him out of the championship hunt. As with every year, the faithful will be waiting to see if this year’s 500 will be the end of the Andretti Curse. Marco’s RC Cola is one of the best-looking on the grid, and he should be a big contender not only at Indy, but places such as Iowa, Fontana, and Mid-Ohio. The newest member of the Andretti family is EJ Viso, who is looking for a change of luck of his own. Viso has greatly cut down on his on-track mistakes, and is hoping that the move to a championship team will ensure the burst of pure speed and potential we’ve seen from him turn into sustained positive results. Viso has the talent to compete up front, and seems to be a good fit so far with the Andretti crew. Having Michael Cannon as his engineer doesn't hurt, either. We’ll see how the change agrees with him, but he very well could be a dark horse winner at some point this season. Andretti will be expanding from 4 to 5 teams for Indianapolis this year, with their Firestone Indy Lights driver Carlos Munoz confirmed in a 5th car. Dragon’s prior season and this offseason were anything but normal, between their drama-filled switch from Lotus to Chevy, Jay Penske’s off-track escapades, and the extremely contentious removal of Katherine Legge from the #6 car. Despite all this, Dragon could have some decent result on the year, thanks especially to the driving prowess of Bourdais. He is very good at doing much with little, and though his season will likely be a roller coaster, there will be ample occasions for him to demonstrate the sort of prowess that ruled ChampCar for so long. His teammate for the year, Sebastian Saavedra, is stepping back up to a full-season after spending most of 2012 in Firestone Indy Lights. It appears to have been a smart move for the young Colombian driver, who last ran full-time with Conquest Racing in 2011. If he’s able to grab some Top 10s and turn some heads, it will be a big vindication for his career strategy. Overall, Dragon Racing remains a cipher, and is probably one of the hardest teams to project performance for this season. A rookie team in 2012, Carpenter’s outfit looked strong at the 500 before a late spin, and managed to win the MAVTV 500 finale at Fontana. As one would expect, Ed was very good on the ovals, and struggled mightily on the road and street courses. Carpenter has worked diligently at his craft, but it’s still too much to expect him to suddenly be a world-beater on those courses. On the ovals, however, the Fuzzy’s Vodka Machine should be a regular terror, and should be in the mix at Indy once again. Carpenter should have every chance to net his third win in three years somewhere along the oval portion of the schedule. Twisties: Superior landscaping, but poor results for Ed. Kanaan is the only holdover from KV’s 2012 lineup, and is still a fan favorite at places like Indianapolis, as well as a threat to show up and compete any given weekend. Still, KV Racing has yet to make the jump to a top tier team, despite all the potential in the world. If they’re going to get that elusive win, it could also come from Simona de Silvestro, who should feel like she’s in a rocketship after last year’s nightmarish Lotus campaign. Kanaan and de Silvestro are both two popular, well-respected drivers, and either one of them could give KV Racing the breakout season fans have been anticipating for the last few years now. It’ll be exciting to see how de Silvestro responds to finally having an IndyCar teammate. This team should be one of the more enjoyable duos to watch interact this season. It was a fairly, somewhat surprisingly quiet 2012 season for Hildebeast and National Guard car, but they did manage some nice finishes at Long Beach, Texas, Brazil, and a couple of other tracks. They were a general non-factor at Indy, which seems an odd thing to say for a team that had been so good there for so long. It remains to be seen if they can get their DW12 back to the same high oval standard of years past. Hildebrand is an excellent all-around racer, and his time in Victory Circle shouldn’t be too far off. The other part of the equation here, thanks to the Panther semi-merger/partnership/team-up/whatever with Dreyer and Reinbold Racing, is IndyCar journeyman and respected veteran Oriol Servia. This will mark the first time Servia has started a year with the same team as he finished the prior year since 2004-2005, and hopefully he’ll get to enjoy some consistency for once. Once Servia switched from Lotus last season, he managed four Top 5s in 11 races. He’ll have the chance to be a sneaky spoiler once again this season. With the departure of Ryan Briscoe in the offseason, Team Penske will once again be primarily a two-car team. However, AJ Allmendinger will be running at least Indy and Barber for the team in the IZOD #2, which will be a very high-profile sort of partial season. We know Dinger can drive the wheels off everything from NASCAR to sports cars, so there shouldn’t be too much expectation he’ll get lost in his return to open wheel racing. Hopefully, if things go well, we’ll see him for more races later on, but it’s all up in the air right now. Helio Castroneves grabbed a pair of wins in the first year of the DW12 chassis, and showed he still has what it takes to contend at age 37 (he’ll be 38 before this year’s 500). 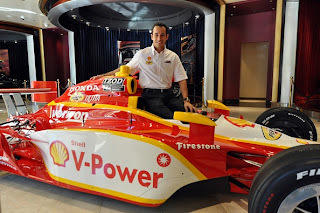 The only thing missing in Helio’s illustrious career is an IndyCar championship, though there’s no reason he won’t be a frontrunner this season. There’s also the possibility of a 4th Indy 500 victory this year, which cannot be discounted. He’s still among the very best at Indianapolis, and running well there has never been a concern for him. The #12 car: Coming soon to a Victory Circle near you. No IndyCar driver has been as analyzed and endlessly discussed this offseason as perhaps Will Power. He’s been so very close to championships the last three seasons, only to see them lost in a variety of progressively stranger ways. No one can dispute he reigns supreme on the twisties, and he has to again be the prohibitive title favorite. Power has been pretty prevalent in advertising and online content during the offseason, and he should remain a very prominent racer. It’s about time he had a title to go with that. You have to like his chances, but then again, that’s what we thought in 2010-2012. At some point, he’ll get his championship, and it very well could be this year. Expect the usual wins from Power, and wait to see if the consistency on non-win weeks is enough to put him through to the title. Tomorrow: A look at the 2013 IZOD IndyCarHonda teams. -We all know it's just testing, and in the long run, these times don't matter too terribly much, but yesterday was a lot of fun to follow, as a host of drivers played leapfrog at the top while dropping their times into the mid/low 1:07s. It can't be said enough: this is a very, very deep field. And is as good as Will Power is on a road or street course, don't think for one second there isn't a whole host of drivers ready to challenge him. 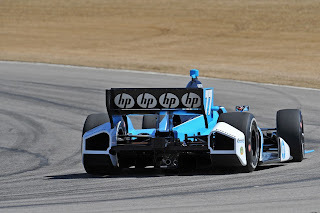 -Is it just me, or has it been pretty quiet in regards to JR Hildebrand this offseason? No one seems to be talking much about the #4. I'll be curious to see how the Panther Racing team pulls it together this year, and just where they are as competitors. We already know they're strong on ovals, but where will they be on the twisties? I didn't get a good sense of that from this test. Just a random thought when the "Hildebeast" popped up on timing and scoring yesterday. -Not directly Barber-related, but it's been a lot of fun to follow the massive 30-car Cooper Tires USF2000 field currently participating down in Sebring as part of the race week festivities. I'm really looking forward to today and tomorrow's races. It's no exaggeration to say this is one of the most stacked fields in recent memory, with any number of drivers capable of moving up to the next levels of the ladder. Few things are more rewarding than watching a driver successfully make the climb from the lower rungs to the upper ones. -How great is it to be Simona de Silvestro right now? What a difference an engine makes! You can't read too much into a single day's testing results, but finishing 6th-fastest in testing would have been a pipe dream last year. Heck, finishing 20th-fastest would have been a stretch. The Iron Maiden should finally have what she needs to compete, and I think we can be ready for some more reminders of what she can do when she has even close to the right tools at hand. Viso's car won't be tough to pick out. -The contest for Best Livery in the 2013 field is in full swing, and there are some great entrants early with cars the like the Team Barracuda #98, and the Andretti Autosport RC Cola #25. However, the #5 Team Venezuela PDVSA car of Andretti's EJ Viso is easily the most distinct livery out there. The reds, orange, white, blue and yellow are going to be extremely noticeable on track. Some folks might not like it, but I love seeing different sorts of liveries out there--and I like a distinct car. Let's hope it's noticeable for speed, too--finishing P5 overall on the day was a pretty good start. -It's important to remember that Barber is a pretty unique track, both in terms of layout and technical demands. It suits certain types of drivers better, and I saw where Will Power was quoted as saying how different it was from St. Pete and some of the other courses on the schedule. I think that's an important point to make--testing at Barber will be helpful in many ways, but it isn't a cure-all, and it doesn't prepare the drivers for everywhere they'll go this year. That might seem common sense, but it's probably still very good to keep in the back of your mind, lest we over-analyze the test. -If your favorite driver had a subpar result yesterday, don't hit the panic button. It's just a day of testing, and for many of these teams, it was simply getting cobwebs shaken off. So Dario, Rahal, Saavedra, Bourdais fans--no need to freak out. Just take it in stride. Back in 2011, at Kentucky Speedway, I watched Ed Carpenter pull off one of the closest and most exhilarating wins I’ve seen in recent IndyCar memory. I’m still pretty sure I blacked out for about five minutes after the checkered flag flew, and I have disturbing, fragmented memories of hugging a burly fellow I did not know during that celebration. No alcohol was involved; that’s just the euphoria you get when Sarah Fisher’s team finally wins. But before any of that, I was witness to another race that weekend, one that started the same way it ended—with Stefan Wilson up front. The Firestone Indy Lights polesitter had a good battle with Josef Newgarden before he took the lead back to win his second Lights race of the year. Wilson finished third in Lights this year, just behind runner-up Esteban Guerrieri. He had shown much improvement on the season, and managed to compete well against the always-powerful Schmidt cars in an Andretti ride. He had three other podiums to go with those two victories, and things looked pretty bright, at least from the outside. I thought at that point that if Stefan came back to Lights full-time in 2012, he’d have an excellent shot at fighting for the Lights title. But between funding, the new DW12 and seats not exactly being a free commodity, Wilson only ran a single Lights event last year, a P6 at Fontana with Fan Force United. It was a good drive given the circumstances surrounding it, but not what anyone would have hoped would be it for his year in open wheel racing. 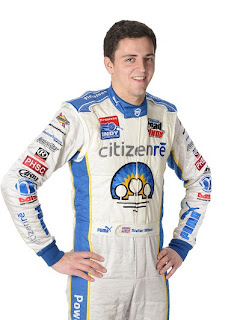 When I wrote yesterday morning’s Barber test preview, nothing had been announced on Stefan Wilson signing with Coyne for the 2013 season’s road/street portion of the schedule. (And if you want to be technical, nothing official for the season had yet been released; as encouraging as the news is, it’s still just a test at the moment, with the hopes of something official for the season coming soon). There was, however, the expectation Wilson had some big news, and the rumored possibility it had something to do with Coyne, which I briefly mentioned. Still, this probably was a surprise for many IndyCar fans, especially since Wilson didn’t seem to be one of the big silly season names. As such, there are probably some questions surrounding this announcement. Watching him run alongside big brother Justin Wilson might make for a good story, but what could fans expect from IndyCar’s latest potential rookie? Wilson tests for Coyne Wednesday. As a Mazda Road to Indy aficionado, I’ve watch Stef develop from a rough rookie Lights season in 2009, to an up-and-down 2010, to very, consistent good form in 2011. I believe pretty strongly he’s shown enough to get a chance “in the show”, so to speak. Dale Coyne’s second seat isn’t some high-profile Ganassi or Penske ride, but getting a half-season of IndyCar sure beats the alternative. 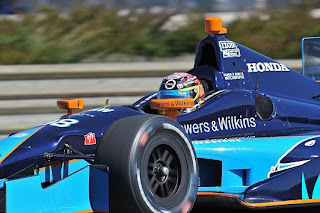 Wilson was also pretty good at Indy, and to get way, way ahead of things, it’d be great to see him get his shot there, as well. (His pace car rides are also the stuff of legend, as you can ask anyone who has ridden along with him). “Earned” is a loaded word; just because someone had put in their time does not mean they “deserve” (another loaded word) to be in an IndyCar. But Wilson has paid his dues, he’s worked on his craft, and has shown the type of talent and potential that makes him a fun addition to consider for this year’s field. Speaking with him last year on race weekends, I was struck by his continued determination to work towards a ride, and his honesty in surveying the few opportunities available at the time. There’s no doubt he’s got the right mentality for the work ahead. (He also would give Dale Coyne the tallest driver lineup in the paddock, at least on road and street weekends). It doesn’t hurt that the Wilson brothers can both be counted as two of the nicest, most down-to-earth drivers around IndyCar. So, if this test does turn into a partial season for Stefan Wilson, I’ll be wishing him all the best, and I think we’ll like what we see. If the Coyne second seat is Wilson’s shot, I hope it affords him the chance to develop further as a driver, and as a springboard for even more opportunities down the road. But first things first: here’s to a good test, and to good news on a contract for Stefan Wilson. While attending the big charity event at the IndyCar Dallara Factory this past Saturday (which looked to be a HUGE success, by the way! ), I was happy to notice just how many folks had their kids, grandchildren, or other young fans with them to the event. For every plan and "they ought to do ________" statement about IndyCar out there, there remains little to match the positive impact of putting a kid in front of the IndyCar product and let them experience its access and speed for themselves. What compares to seeing a kid watch, almost unbelieving, an IndyCar scream past for the first time? It's all ZOOOOOM and WOW and HEY HOLY CRAP DID YOU SEE THAT? How could you not fall in love with that until the day you die? That's why nothing matches seeing a kid get what IndyCar is all about. I hope there's plenty of that this IndyCar season. -Yes, Virginia, There Is Live Streaming: Both Tuesday and Wednesday should offer live timing and scoring from 10am-6pm. Make sure to bookmark this link, if you haven't done so already. If you need a list of events, check out this pdf. -It Won't Be A Repeat Of Last Year (Probably): In last year's Barber test, Graham Rahal and the Honda cars topped the charts, as drivers such as Rahal and Mike Conway recorded the fastest times over the two-day test. Bear in mind last season saw a shift in performance between Chevy and Honda over the course of the year, and the test last year was still very much learning about the DW12 car. With a year under their belt, teams will still be tweaking and learning, but don't read too much into comparing last year's times versus this year's off the bat. -The Rookie Looks To Keep It Going: Tristan Vautier has been freaky fast (sorry Jimmy John's) in early testing this year. IndyCar's current default Sunoco Rookie of the Year has definitely raised some eyebrows with his times thus far; if he can keep it up, the sky just might be the limit at an already-strong Schmidt Peterson Motorsports this year. It'll be fun to see if he's still showing up among the top times this week. Vautier hasn't lacked speed in the preseason. -Lights Goes First: Monday isn't just about press availability, it's also track time for the slowly growing Firestone Indy Lights field. While there won't be an abundance of cars on track, this is probably the most promising fields Lights has had since 2010. Look for a couple of late adds to the field as we draw near to St. Pete. -Coyne Finalizes (Finally? ): We had some fun with Dale Coyne's propensity for both tardiness and the obscure last week, but it sounds as if the Coyne 2nd seat will feature Ana Beatriz for at least some of the races this year, with Stefan Wilson's name (among other possibilities) also coming up for seat time. We'll wait and see if there will be some platooning in that seat. You can also look for the Dale Coyne official announcement of Justin Wilson's signing, which still hadn't been announced, despite the common knowledge he'd be back this year. -With today’s expected announcement of AJ Allmendinger driving for Penske in this year’s Indy 500, one of the most intriguing possibilities of the offseason has come to fruition. Allmendinger is a bit of a throwback as a racer; he is able to jump into just about anything and get up to speed quickly. 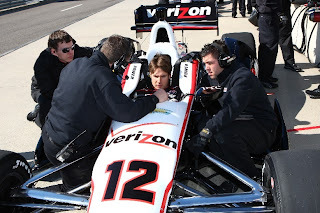 His open wheel credentials are excellent, and he should have every chance at a great run at Indy with Penske. What are the possibilities beyond that? I suspect it has to do with what his opportunities are in other series, as well. If he manages a solid schedule in IndyCar, though, I’d be thrilled. 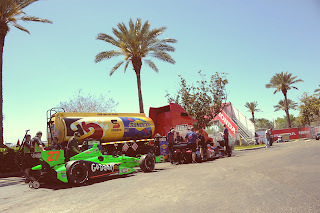 -How great is to see Sage Karam testing with Sam Schmidt's Firestone Indy Lights team down at Sebring? The car count woes of Lights are not in question this year, but if Karam is a full-season deal with Schmidt, we just gained another Lights contender. For a field with not many cars, there are plenty of great prospects in Lights. -Don’t forget—if you’re anywhere close to Speedway and Indianapolis this weekend, the Graham Rahal Foundation and Indy Cars and Coffee are having a charity event at the Dallara factory in Speedway Saturday from 11am-5pm. Graham will be joined by several other drivers, including Ed Carpenter, Alex Tagliani, Pippa Mann, and possibly others, to help benefit the Graham Rahal Foundation and its great causes. Two-seater rides, an autograph session, the Dallara simulator, and a tour are some of the highlights of this special preseason event. The cost is $10 per person, and should be a great time for INDYCAR fans young and old. Plus, you’ll be doing something for charity! -If you do make the trip to Speedway, be sure to say hi! My son’s birthday party is that morning (4 years old, if you can believe it! ), but you can bet we’ll be coming over there as soon as it’s done. Have a great weekend! The Dale Coyne 2nd Driver Random Generator! I love Dale Coyne Racing. They’ve helped make rides happen for talented guys like Justin Wilson and Alex Lloyd, and they’ve been a starting place for more than one quality driver over the years. They’re the perennial underdog who seems to get everything together on a shoestring at the last minute. Every racing series needs a Dale Coyne Racing. Still, we all know Dale likes to wait on that second driver. Each offseason, a parade of names, each seemingly destined to land on that second seat, assails the IndyCar fan. From the far reaches of the globe their names come, to be part of the endlessly churning Coyne rumor mill, which blackens the sky and gives the slight hint of Sonny's Bar-B-Q to the air. It can be confusing, and half the time, we were all wrong with our best guess anyways. Well, now fans have some help with figuring out who’s in that Coyne second seat. Enter the Dale Coyne 2nd Driver Random Generator, a revolutionary development in INDYCAR silly season. Simply go across and pick and randomly pick an entry from each column. Then, check your results and see what type of driver will be in Coyne's 2nd seat! Is it Hasan Merriwether of Belgium, from Formula Renault 3.5, where he finished 14th? Or perhaps it’s Georg LaRoche of Angola, who finished a keen 8th in Formula Nippon? There are 160,000 possibilities of Coyne-y goodness to spread to Twitter, your Facebook page, or your car club! So here is my gift to you! Play around, start your own rumors for Coyne’s second seat, and may the Dale Coyne Racings of the world have every bit of luck this season. As you may know, I am taking my daughter to her first full IZOD IndyCar Series race weekend this June, when we make the trip up to Milwaukee for IndyFest and the race at the legendary Milwaukee Mile. Now, when I bought my daughter's ticket about a month ago, it was $24 (high in North Terrace), plus $25 for her paddock pass. Given how much she'll enjoy it and how much she's looking forward to the event, I didn't feel too bad paying for that. Thank you for purchasing tickets for the 2013 Milwaukee IndyFest. We're really excited about this year's event--the racing will be great and the infield will have more rides (all free with infield admission), attractions, and fun. I did want to give you a heads up on pricing--we have decided to lower the prices of Junior tickets in order to make it more affordable for all families to enjoy. Here's the best part--we owe you a refund! If you paid by credit card, we'll refund your card, if you paid by check or cash at the box office, we'll need you to swing by to pick up your refund and get your new Junior tickets. When you get your new tickets in the mail, discard your old tickets--these are your tickets for the race. For print at home tickets, please print the new Junior tickets and toss the old Junior tickets. Thanks again--I look forward to seeing you at Milwaukee IndyFest. Please tell your friends to come along! About an hour later, I received new tickets for my daughter--her North Terrace seat was now only $10, and her paddock pass was free. I received another email explaining a $39 refund had been returned to my debit card. You could have knocked me over with a feather. It's rare to get a price adjustment after purchase on anything, and here I'm going to end up saving about $40 on our trip to the Mile. More importantly, Andretti Sports Marketing and Milwaukee IndyFest have taken a really great step to make this event more affordable for families with children. Really, IndyFest should function as a fantastic introductory IndyCar event for the kiddos. There are rides, concessions, a race that's easy to watch and follow, with plenty of seats with high visibility. I absolutely love what Andretti is doing here, especially with Turbo due out in theaters this summer. I know I've talked a lot about INDYCAR ensuring they're as family and kid-accessible as possible, but here's Andretti Sports Marketing actually doing something about it. Huge kudos to them for their effort and the positive steps they've made to promote and support this race. So if you have a family, nieces, nephews, grandkids, close family friends, etc., I hope you'll consider taking them up to the Milwaukee IndyFest this June. Tickets are affordable, and the overall trip should be manageable for most folks, as well. Remember, Champion Crew Conversation can get in you in a good hotel for $59/night--that's tough to beat! I'd love to see some sort of organized event or meetup there for the kids and adults. This is the sort of accessible event at a truly historic, important track that deserves our support.